Potassium lignite is a natural potassium source containing 40% potassium by weight. It is totally water-dissolvable and is utilized as a contrasting option to potassium chloride for giving an expanded level of potassium to enhance shale restraint and wellbore solidness in applications where chlorides are undesirable. POTASSIUM LIGNITE is utilized to increment solvent potassium for shale restraint when chlorides from potassium chloride are undesirable. While it can be the sole wellspring of potassium, POTASSIUM LIGNITE is all the more frequently utilized as a part of blend with other potassium-base items, for example, causticized potassium lignite, chrome lignite and KOH. A 1 lb/bbl (2.85 kg/m3) expansion of POTASSIUM LIGNITE gives roughly 1,135 mg/l potassium. Ordinary medications go from 1 to 4 lb/bbl (2.85 to 11.4 kg/m3). POTASSIUM LIGNITE is totally solvent in crisp water, seawater and salt water. It can be utilized as a part of scattered or no scattered frameworks and gives potassium at any pH. POTASSIUM LIGNITE is particularly valuable when the coveted potassium level is higher than can be acquired for all intents and purposes with traditional potassium items. For instance, in chlorides-confined circumstances, POTASSIUM LIGNITE is the best item to increase the potassium level when utilizing non-scattered frameworks where high groupings of potassium are required for shale restraint. 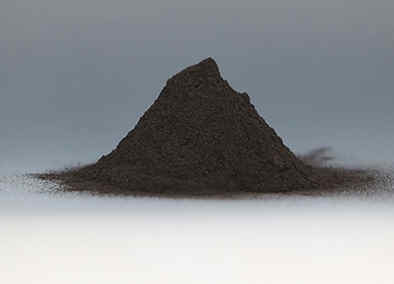 POTASSIUM LIGNITE can supply any potass ium level required, while medicines of KOH and other potassium items must be utilized in view of pH and mud property prerequisites. POTASSIUM LIGNITE ought to be added to the framework through the concoction barrel in a similar way that potassium hydroxide or harsh pop is included. POTASSIUM LIGNITE is periodically bundled in 100-lb (45.4-kg) drums, making it helpful to utilize the drum as a synthetic barrel. To do this, put the drum on the pits, punch a gap in the base, open the best and include water gradually, modifying the water with the goal that the item is included amid one finish dissemination.